You got The Darkest Minds!!! **dies of jealousy** I can't wait to see what you think of it! I really enjoyed Brightly Woven as well! So many great books!! 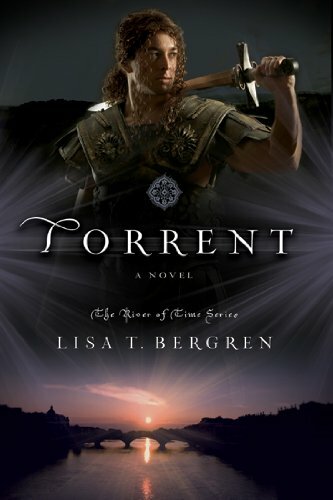 And I still need to read Torrent! What is wrong with me??!! My Added to the Bookshelf Post. What IS wrong with you?? :P At least now you know you have a good book waiting in the wings if you ever get desperate and NEED something great to read :) It's nice to have that security. I love your title, its very fitting. I'm not doing IMM anymore either, I've switched to "Stacking the Shelves" how come you are participating in that meme? Its pretty cool. 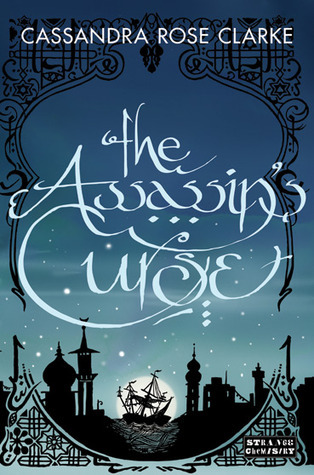 I really want to read The Assassin's curse. You've go me lusting for that one. I'm not sure if I will get brave and request some of the others from NG even though they sound really good. Luckily I do have Claws and Glitch. Maybe we can compare notes on those two? -Once bitten, twice shy. I'm kinda reluctant to tag on and then what if I have to change over everything again and redo all my labels and edit my feature post, and and and, yeah I'm really over thinking this, but the mismatch in organization now is giving me an eye twitch and I don't want to have to do it all over again down the line. -I'm too busy now to properly honor the "hopping" part of tagging along with a meme like that. I feel bad when people visit my blog on a hop and then I have no time to visit theirs in return. I hadn't added my link to the IMM posts in a while because of this. You MUST read The Assassin's Curse! I would absolutely love to swap notes on those two books. Maybe we can try to read them around the same time? Not sure what you mean by "those two books". I somehow got lost in the process lol. I'd love to read something at the same time as you. Its always so fun, even though you read much faster than me. Tell me which book and when and I'll see if I can make it work. Sadly It's rare for me to have books coming in but I got a great library to cover my disappointment.lol So many great sounding books! 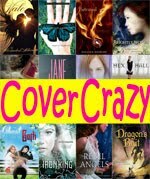 I'm especially interested in checking out Tiger Lilly and Throne of Glass. Hope you enjoy them! 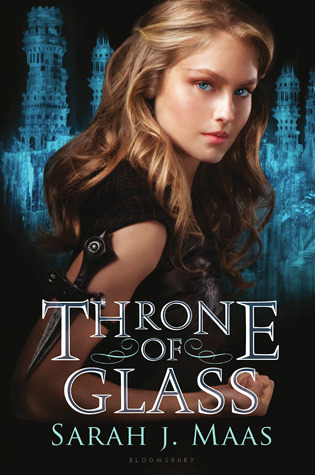 ooh, I'm really excited for throne of glass. I started reading the prequels and they are pretty good so far. The Pirate's Curse looks utterly fantastic and I can't wait to get my hands on that one as well. So many awesome books! I read the first prequel novella for Throne of Glass and liked it (though not as much as I was hoping I would, sadly). I have higher hopes for the book though, because the MC seems a little more humbled by her experiences. I think you will love The Assassin's Curse! i really want to read time travelling fashionista! enjoy! It looks so cute! The sequel looks even better with her going back to Marie Antoinette's time. Great books this week! The Time-Traveling Fashionista was very cute. Pushing the Limits was amazing! One of my favorite books of 2012. I hope that you enjoy your new books! Oooo great stuff! :) Enjoy. I will be looking forward to several of these reviews. Loved this post! 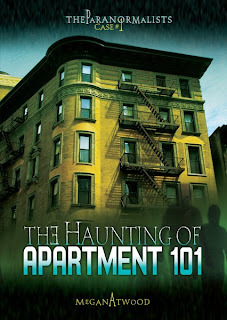 There were a couple you got from NetGalley that I had looked at but didn't request. Now I will have to take a second look! 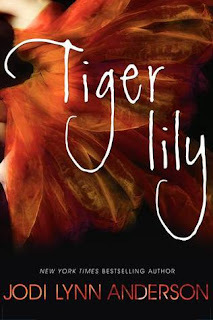 TIGER LILY! GLITCH! *Faints with desire* I can't wait for Tiger Lily. Forget Wendy, I was always a Tiger Lily fan. I just kind of hope she finds someone better than Peter Pan. Just saying. 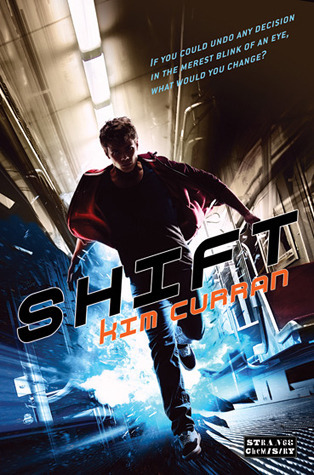 Shift sounds great because I wish I could do this all the time. It's why I used to read Choose Your Own Adventure books as a kid. If I didn't like where the story was going, I'd go back and make a new decision. Did you know they have Choose Your Own Adventure-style books for the Kindle? I bought one. It's not exciting as it seems, since the story basically forces you in one of two directions. But, it was amusing for a bit. Huh. I should review it. I started Time Traveling Fashionista and then abandoned it, but I think you'll have better luck, since my reasoning was that it was a middle grade title rather than YA. I love Titanic-era books. Which is why the fact that I have yet to watch Downton Abbey is so bizarre. Wait, what?? Did I just read that you haven't watched Downton Abbey yet?! RUBY! What are you waiting for?! It is exactly the type of show that was created solely so you and I can gush and gossip about the characters! Get on it! Princess Link! We need that shift power so we can totally indulge our past-altering whims. Consequences be damned! I loved Choose Your Own Adventure books. Ha! My SIL is convinced that I have some kind of ulterior motive for not yet watching Downton Abbey. No, seriously, I thought she was going to start an investigation. I will assist her because you seriously need to get in on this. I need someone to hiss and throw popcorn at Lady Edith with me. My friend actually likes her! And she's anti-Lady Mary, which I simply cannot abide (I am a staunch Lady Mary fan). I have to join the "Get Ruby to Watch Downton Abbey Movement"! I started watching it one day when I was home sick and there just so happened to be a free first episode of Downton Abbey. That's all it took. I'm addicted and CAN'T wait for Season 3. Lady Edith....I go back and forth with her. Of course she's a manipulative lying ho, but at the same time, I feel for her. She's always been in Mary's shadow and she is clearly the most plain of the three sisters. There is going to be much to look forward to with Season 3! I got Pushing The Limits this week too! It looks so good I can't wait to read it. 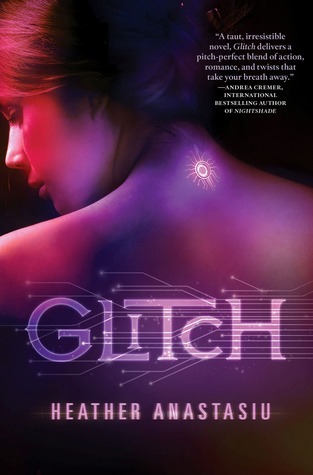 Also I read Glitch last week or the week before and that was pretty awesome too I hope you enjoy it! Here's my IMM! Great haul! 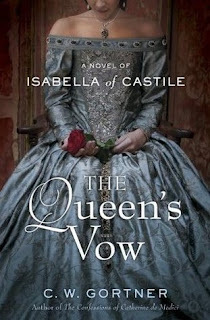 There are a few books I didn't know about and that have now made it on to my wishlist! I'm really excited for Tiger Lily! :) Enjoy your books! You've gotten quite a haul in the past month! I actually bought some Ernest Hemingway books for my boyfriend since he read one and liked it. It's kind of funny that he's read Hemingway before me and I'm the reader. But at least I can say I've read Scott Fitzgerald before him, so we're even! Hehe! 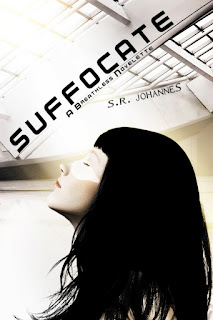 You have some amazing books-I am currently most anticipating The Assassin's Curse. 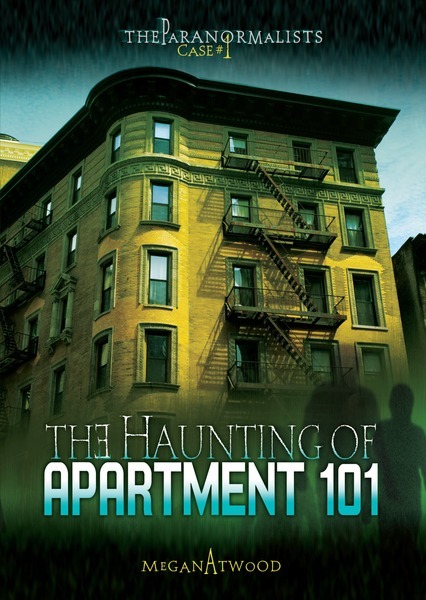 I love the font and the colors on the cover and the plot sounds so cool! 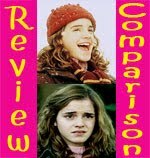 I hope you love The Time-Traveling Fashionista-with the pictures and easy writing, it is a very fast read! Silly me! I thought the one meant you only got one book! You need a picture to go with your Books I Got This Week. I like the title. I can't even begin to comment on all those books! I got some of them, didn't get some of the others. Wish I had gotten some of them. Can't wait to see what you think! I know what you'll be doing for the next few weeks, days depending on the unpacking situation! The title might not be creative, but it's straight to the point. You gotta appreciate that! Sounds like you got some awesome books. That last one looks super cute. I might be an adult too, but who does NOT love pictures in their books? It's fun! I totally get you about Torrent! 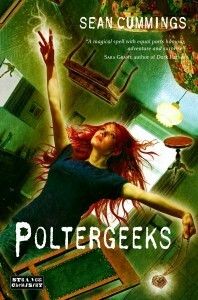 I love that book - though I admit that my favorite of the series so far is Waterfall. Time traveler fashionista looks so sweet - love the pink! And Throne of Glass sounds so good! Oh so fun!! :D Throne of Glass, Glitch, Darkest Minds - so excited for those! And TORRENT!! :D GASP!! lovelovelovelovelove! I'll have to check out Brightly Woven if it's on your Special Shelf! 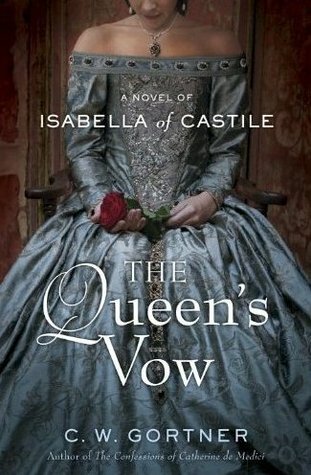 The Queen's Vow, Assassin's Curse, and Glitch look interesting as well. I'm so happy it's summer and I'll have lots of time to read! 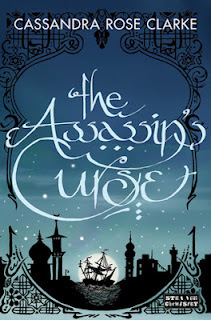 I love that cover for The Assassin's Curse. I got Blackwood from NetGalley and I'm still waiting to hear about Throne of Glass. Fingers crossed! 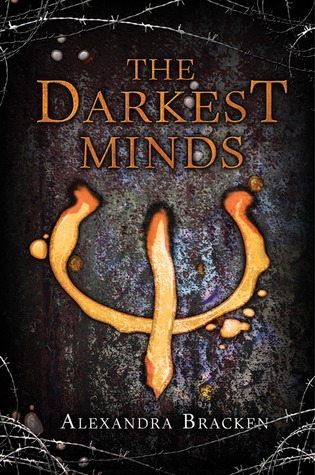 I also have Glitch, the Darkest Minds and Blackwood. I've heard good things about Glitch and I loved Brightly Woven so I have high hopes for Darkest Minds! Though I totally agree that I wish it was high fantasy! Here's to hoping for a hate turned love relationship! 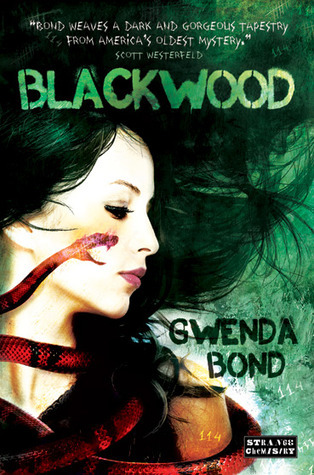 XD But I'm kind of iffy on Blackwood. The only review I've read on it was a DNF so we'll see. And I'm so completely and utterly jealous of The Assassin's Curse!!! And Special-Shelf tinglings?!?! AHHHH must....get....this....now! ;) Great haul!!! Oooh, some of these sound so good! Totally jealous. I'm excited about Throne of Glass, The Darkest Minds, and The Assassin's Curse. 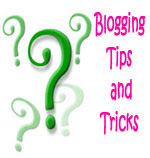 Thanks for the comment on my blog, by the way! I haven't read Meg Cabot's Mediator books; I'll check them out. The only other Meg Cabot I've read was Underworld and I thought it was so-so. Anyway, happy reading! I got Throne of Glass, Pushing the Limits, and Darkest Minds at BEA. I'm so excited to read them. Especially Throne of Glass. The line for Sarah's signing was so huge that I couldn't get to it. 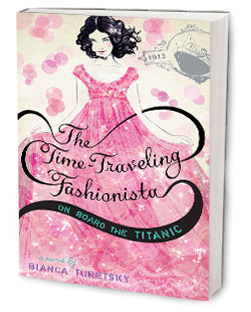 ZOMG The cover for the Time Travelling Fashionista looks divine! Oh, I don't know, why don't you just call it a Weekly Recap like you used to? Or no - you've changed that to a Monthly Recap, haven't you? Well, I'm pretty sure no one really cares what you call it so long as they get to gaze upon all the pretty books! I've been a bit insane about requesting books lately as well - I'm booked solid for the next few months pretty much! You've definitely piqued my interest with The Assassin's Curse! What is it about assassins plus magic that equals an automatic win?